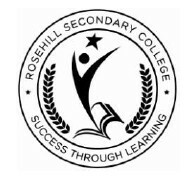 Rosehill Secondary College structure is based on a Junior School (Years 7 to 9) and a Senior School (Years 10 to 12). All students in Years 7 to 10 undertake the core subjects of English, Mathematics and Science. L.O.T.E (Language Other Than English), The Arts, PE and Health, Humanities and Technology are all offered in the school’s comprehensive curriculum. There is also provision made at each level for English/Mathematics extension. An enrichment program S.T.E.P (Selective Talent Enrichment Program) from Years 7 to 10 is offered. The focus of this program is to provide opportunities for enhancement. Rosehill has a supportive environment, with a strong emphasis on relationships. It has a clearly articulated welfare and student management process and policy. Rosehill has a clear agenda of refurbishment of facilities, with a focus on the creation of vibrant indoor and outdoor learning spaces. A new purpose built Year 12 study centre is our most recent addition. 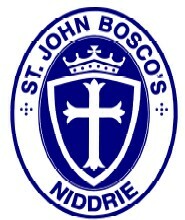 St. John Bosco's is a place of learning, committed to the fostering and development of faith in Christ and His Church. As leaders of this school we will nurture the Gospel values in all decision making. We do this by providing a Christ centred curriculum. This is maintained through the example of the staff, with an emphasis on the welfare of the individual within the school community. We show consideration and respect for the worth of each child as a unique individual. We assist the children to value that uniqueness and recognise their talents. We strive towards an ethos that values the varying individual differences in the wider community. We aim to equip our students with the knowledge, skills and behaviours necessary for life within a changing society. We provide a differentiated and progressive curriculum, allowing each child the opportunity to develop to his/her full potential. We nurture and protect that special relationship and spirit of co-operation, which exists among students, staff, parents, parishioners and the wider community.